All 24 episodes from the eleventh season of the US sitcom. 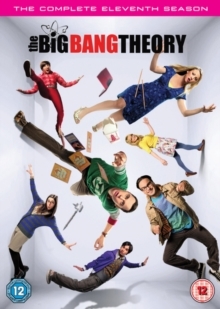 The series revolves around two university physicists, Leonard (Johnny Galecki) and Sheldon (Jim Parsons), their beautiful, free-spirited neighbour, Penny (Kaley Cuoco), and their friends, Howard (Simon Helberg) and Rajesh (Kunal Nayyar). In this season, Sheldon and Amy (Mayim Bialik) prepare to get married and Howard and Bernadette (Melissa Rauch) discover they are expecting their second child. The episodes are: 'The Proposal Proposal', 'The Retraction Reaction', 'The Relaxation Integration', 'The Explosion Implosion', 'The Collaboration Contamination', 'The Proton Regeneration', 'The Geology Methodology', 'The Tesla Recoil', 'The Bitcoin Entanglement', 'The Confidence Erosion', 'The Celebration Reverberation', 'The Matrimonial Metric', 'The Solo Oscillation', 'The Separation Triangulation', 'The Novelization Correlation', 'The Neonatal Nomenclature', 'The Athenaeum Allocation', 'The Gate Excitation', 'The Tenant Disassociation', 'The Reclusive Potential', 'The Comet Polarization', 'The Monetary Insufficiency', 'The Sibling Realignment' and 'The Bow Tie Asymmetry'.